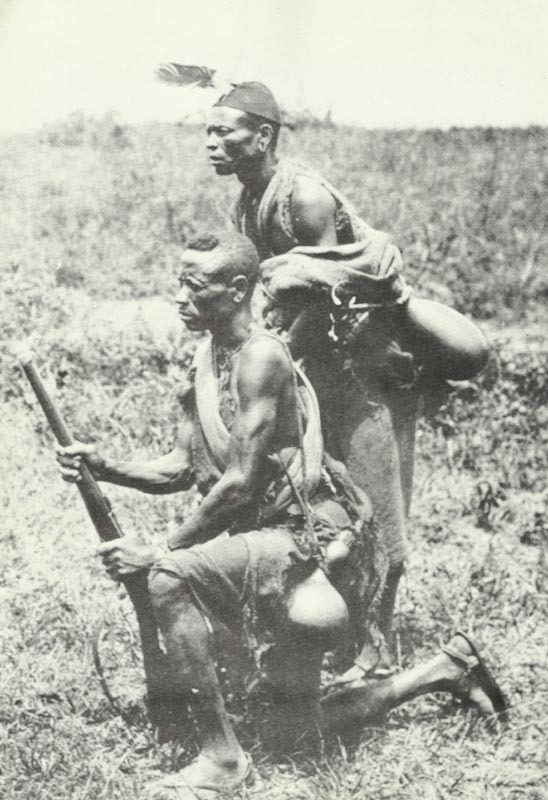 Two Askaris of the German East African protection force. West Russia: Russian sortie from Kovno repulsed until next day. Bukovina: Russians attack near Czernowitz. East Africa: Tighe reports his non-African infantry as only 4,000 men, situation serious. Western Front: 10 French aircraft bomb Spada valley, St Mihiel. New Zealand: 6th Reinforcements sails abroad.